Bridal goods to sell or looking for some bargains? Then join us for our recycled market. 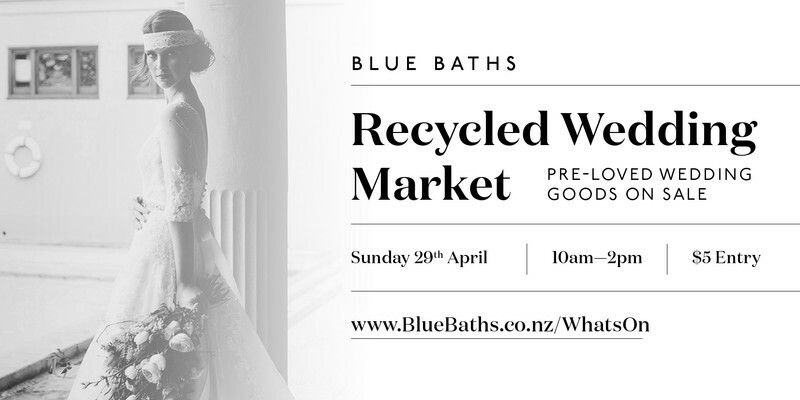 Contact us on 07 350 2119 or info@bluebaths.co.nz. Limited availability so don't delay! Selling on behalf - Blue Baths can sell your Wedding Dress on your behalf. We'll have a seamstress on hand to assist and offer advise on adjustments. Calling all you bargain hunting brides!